On the second day of school I decided to do center rotations with the kids. 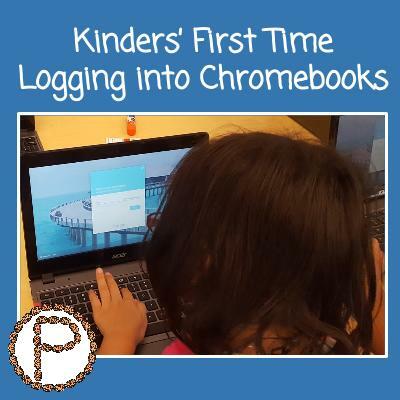 One of our centers included the task of learning how to log into the Chromebooks. 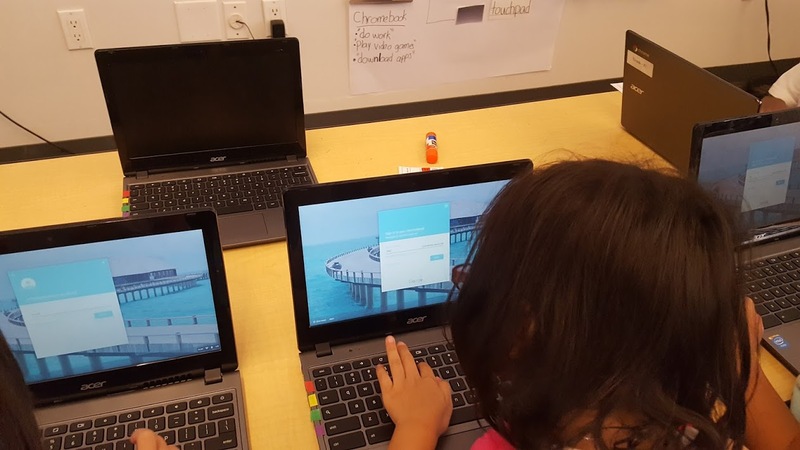 On this first day of using the Chromebooks my kindergarten students logged in, set their profile pictures, and signed out. Student models for peers one of the initial steps for signing into the Chromebook. I let my kids do the modeling to show their peers how they were going to complete the steps to logging in. The kids huddled around a student’s Chromebook and I verbally walked the student through how to input their username and set the profile picture. Do you see the black arrow? That’s called the cursor. Sarah is going to use the touchpad to move the cursor to the E “Enter to sign in.” See how when she moves her finger this way ,the black arrow, the cursor, moves that way too? When Sarah gets to the E she is going to tap on it or push down to hear a click. Now you see the dancing line, that means she can type something. She is going to enter the numbers from her login card and click on the blue NEXT……Now you go back to your Chromebook and sign in. 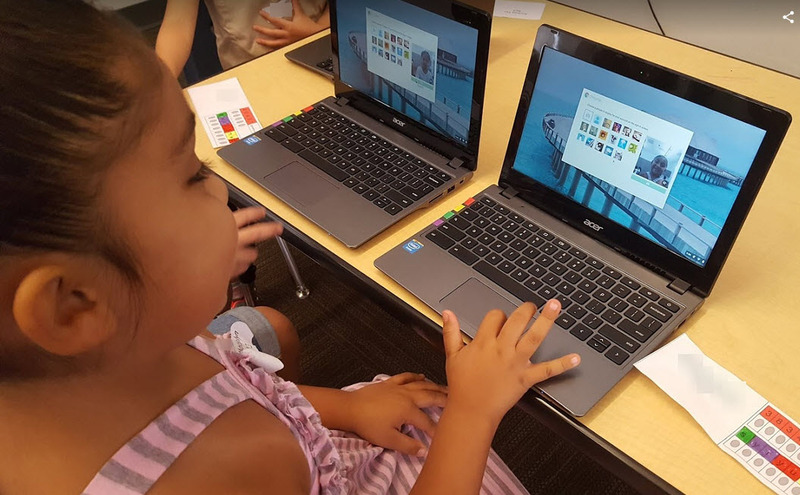 Kindergartner logs into the Chromebook. After seeing one of their peers complete the task of signing in, the rest of the kiddos were eager to try the task themselves. The next step after the kids entered their username was to enter their passwords. The dots that come up when you enter the password did not “throw off” my kids. For the most part, they were able to keep track of which letter or number they were on. Some kids would tell me they put too many of a letter, and I showed them the backspace button and informed them when they push on it one time, it takes away or deletes the letter/number. After all the passwords were in, the kids were prompted by the Chromebook to immediately select a profile picture. I had the kids huddle around another student, who again modeled what the kids were going to do to take their selfie profile image. 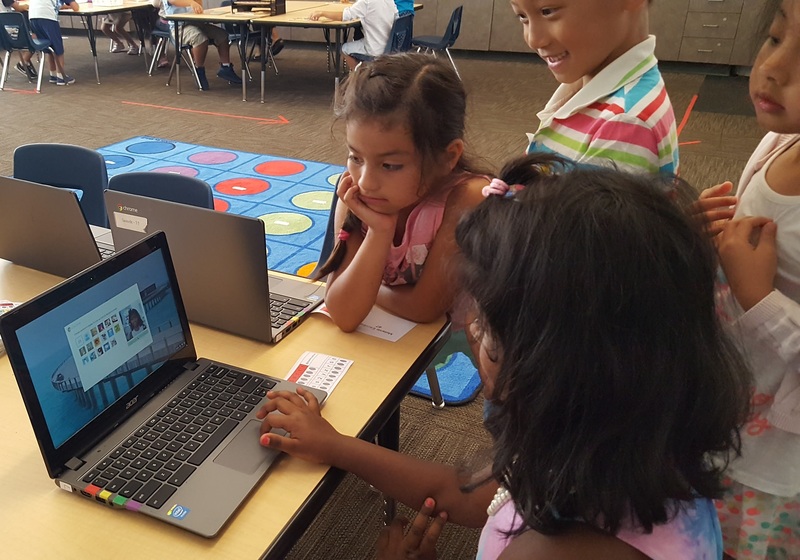 Kinder student clicked on the camera to apply a selfie to her profile on the Chromebook. The kids are totally capable of doing the initial login! I did not have to do any preparation for this day, aside from creating the login cards. Why not get primary students working with technology within the first couple days of school? 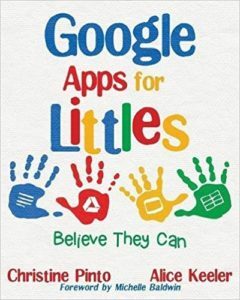 Technology serves as another learning tool, just like a paper and pencil, just like manipulatives, just like books. Let the kids learn how to use and navigate with technology, just as we would with other learning materials. My students are starting their learning objectives now in August, why would I wait until October to integrate technology into our lessons? Work with the capabilities the kids have NOW so that you can see that growth with their academic and digital skills by the time October rolls around. 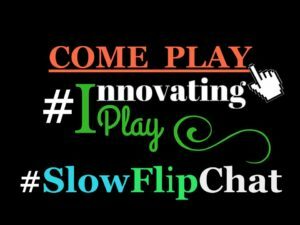 This entry was posted in Chromebook, Digital Literacy, Login Card and tagged Chromebook, Login, sign out by Christine Pinto. Bookmark the permalink.